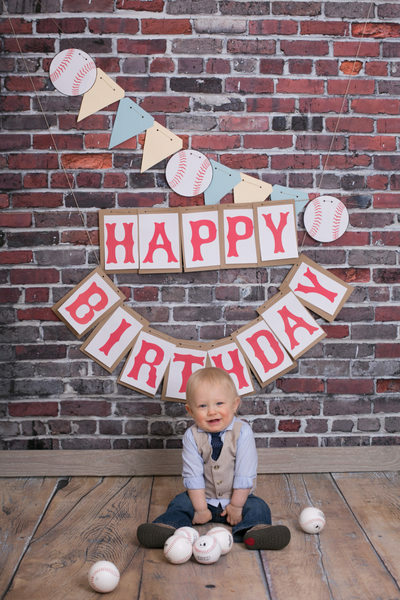 Baby's First Birthday is such a huge milestone and one way to capture it is to have a Cake Smash Portrait Photography Session! You buy the cake, give us a theme and we do the rest! 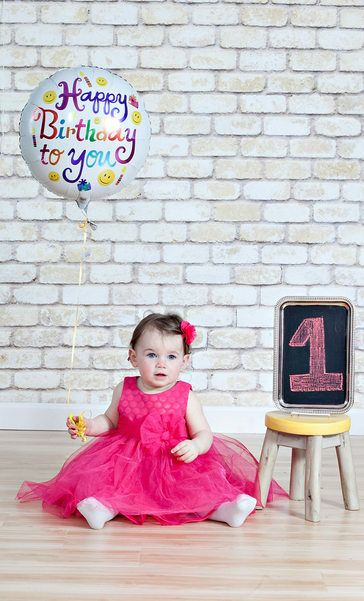 Does your child love pink? 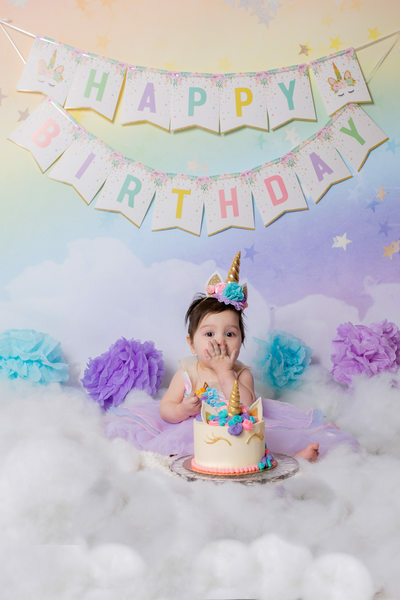 We can do a pink themed cake smash session! Does your little boy love Fire Trucks? we are all over it! We do a few minutes of portrait photos before we introduce the cake. 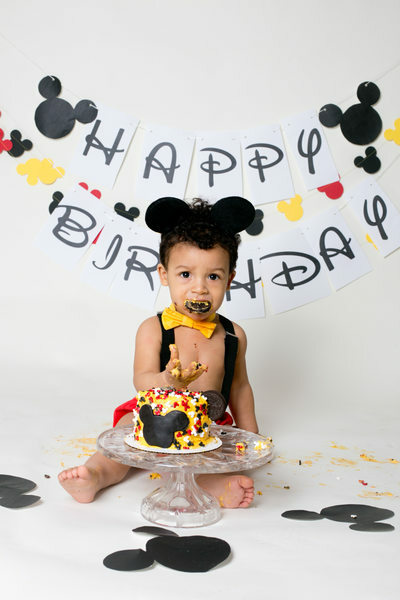 That way you get First Birthday Portraits and then you give them cake,... and let them at it. Now don't be so sure your baby is going to dig right in. 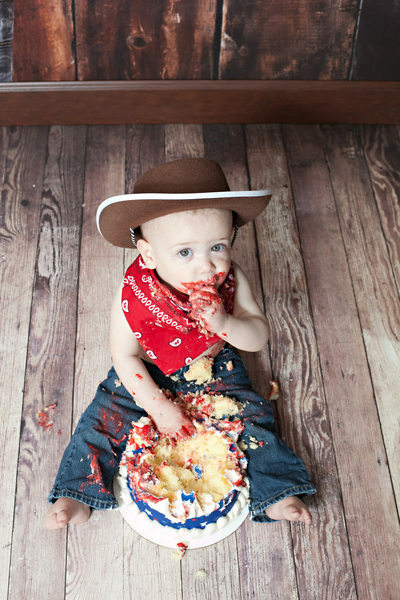 They say that the way a baby attacks the birthday cake is indicative of their personality. 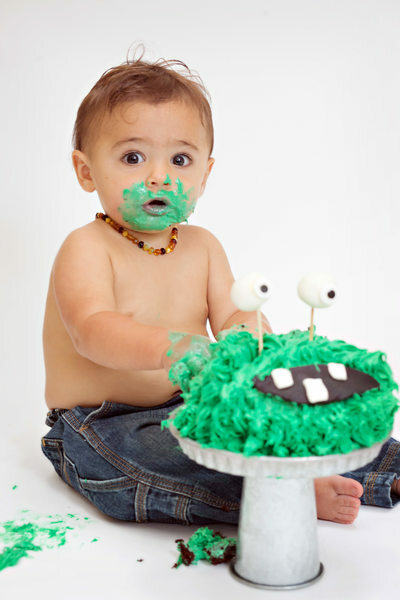 Having a cake smash session is easy, we service the Boston area as well as the North Shore and South Shore. Naps: Making sure the baby is well rested is key! 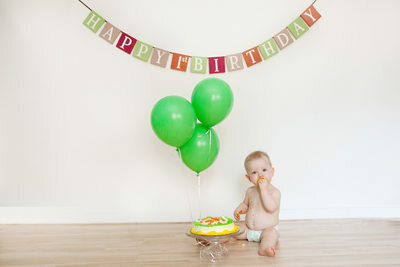 You don't want a baby falling into the cake during the session. Outfits: Don't make them too complicated. The simple outfits work great. Keep the kids barefoot! No one wants cake on their shoes! Expectations: Set them low, and you'll be so surprised by what you get! Kids are totally unpredictable. Messes: Be okay with it. We normally do the actual cake part on a very easy to clean surface that we bring. Have wipes available and expect to give a tub later. Sickness: If the little one has had a cold or has had an ear infection, or is just not well, please reschedule! We won't be upset. 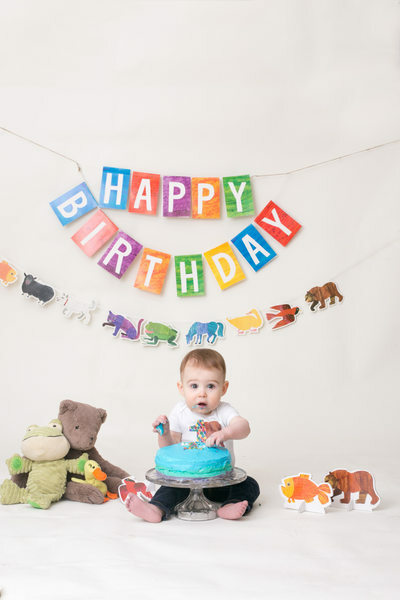 Most sick babies don't feel like diving into a pile of sugar. Sick babies tend to cry a lot during a session, so rescheduling is ALWAYS an option! After the session you will come to my studio and review the images in person. I will sit down and hold your hand through picking the perfect images to display in your home. From an acrylic print to an Ice Block!